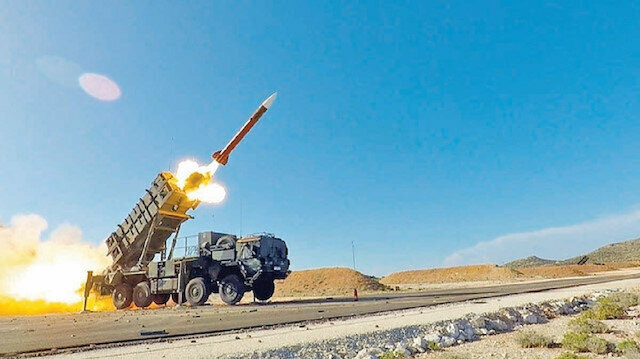 Washington’s last ditch effort to block Turkey from acquiring Russian-made S-400 missile defense systems fell short as the U.S.’s latest Patriot missiles offer failed to include neither a technology sharing clause demanded by Ankara nor a discount on the proposed $3.5 billion deal. Before making a final decision on the proposed offer, Ankara had demanded any deal include a discount and a technology sharing clause. Ankara’s S-400 deal with Russia cost significantly less than the offer Washington put forward on the table, coming at a fraction of the price with reportedly only a third of the price tag. The U.S. had previously attempted to pressure Turkey by blocking the delivery of jointly-developed F-35 jets to Ankara, a precondition that was later dropped by Washington. Turkey had also received another lucrative offer for Beijing’s indigenous defense missile systems in 2013. Washington on Thursday stipulated that Turkey must cancel its order of the Russian-made S-400 missile defense systems in exchange for the U.S.-made Patriots. The offer was made to Turkish defense and foreign ministry officials by a U.S. delegation in Ankara, which set the cancellation of the S-400 deal with Russia a prerequisite for Washington supplying its NATO-ally with its own Patriot missile defense system.Russia and Turkey signed the contract on the S-400 air defense systems delivery in 2017. Installation of the S-400s in Turkey is expected to begin in October 2019.The S-400 is Russia's most advanced long-range anti-aircraft missile system, with the ability to carry three types of missiles capable of destroying targets, including ballistic and cruise missiles.Last month, the U.S. State Department approved a possible foreign military sale of the Patriot air and missile defense system to Turkey for an estimated total of $3.5 billion.According to the Defense Security Cooperation Agency, the department approved the sale of 80 Patriot MIM-104E Guidance Enhanced Missiles (GEM-T) missiles, 60 PAC-3 Missile Segment Enhancement (MSE) missiles and associated equipment.Turkey had been trying to purchase the air defense system from the U.S., but the missiles have never been sold to Turkey when they were needed the most, according to the government.The move comes after Turkey signed a contract with Russia to buy the S-400 air defense system in 2017.Washington has complained that the Russian system is not compatible with weapons used by other NATO countries.Separately, in a report in late November, the Pentagon warned that purchasing the S-400 system would have unavoidable negative consequences for U.S.-Turkey relations as well as Turkey's role in NATO.Patriot missiles are used for defense purposes, mainly to shoot down incoming missiles and planes. “The purchase of the S-400 is to fulfill our country’s urgent and short-term security needs. We will take the necessary measures so that this system can be used independently and will not harm F-35 and NATO systems. We are continuing our contacts with U.S. authorities who are also sensitive about this issue,” said Turkish Foreign Minister Mevlüt Çavuşoğlu when asked about the deal, stressing that Turkey will not cancel its deal with Russia.